My husband and I recently had our cholesterol levels checked and while mine was a healthy 169, his was just beyond the normal range (as in one over the cut-off). Consequently, he’s been interrogating me on the fat content of our meals, requesting fish and other foods that will lower his cholesterol levels, and shunning anything that could raise it. It seems we will be on a cheese and red meat hiatus for the coming months. I decided to make grilled fish tacos for dinner since it pretty much covers all the bases: low in fat, high in omega-3 fatty acids, fresh and delicious. 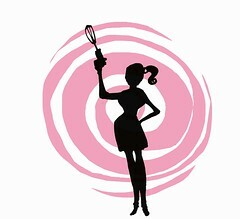 Whisk all ingredients (except fish and tortillas) in a shallow bowl. 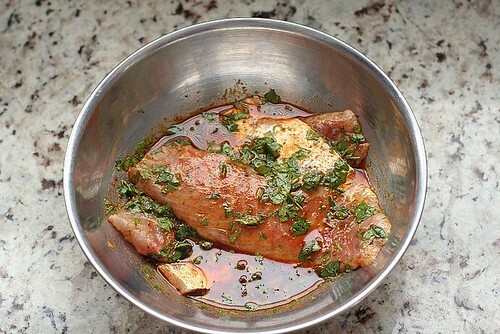 Add fillets and marinate in the refigerator for at least half an hour. (This tastes best grilled, but can also be broiled in the oven or pan grilled.) Take fillets and place on hot grill. Cover and cook for 4 minutes or so. Turn over and cook for another minute. Remove and let stand for a few minutes. Grill tortillas for about 30 seconds on each side. 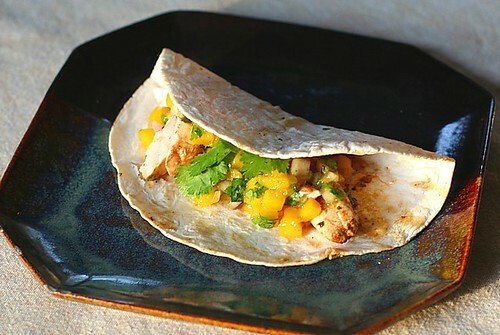 Flake with fork and serve on warm tortillas and top with mango salsa. Combine all ingredients in a bowl and refrigerate. Serve on fish tacos or with chips. Or both. THE best fish taco w/ mango salsa evah!!!!! Consistently loved by all my friends when I make it! Thank you so much!